Reuben was born via c-section, planned because he was breech. He refused to move for 20 weeks and had himself curled into such a tight little ball there was no hope he was giving up his comfortable position! (I think that had something to do with my small size during pregnancy, as much as my natural carrying disposition). 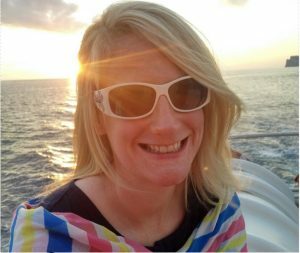 When I knew I was having a c-section I had a mixture of emotions – relief that I didn’t have to face the horrors of the pushing we’d watched on ‘One born every minute’, but also great fear at the prospect of major surgery. For those of you who don’t know, I have a MAJOR phobia of all things medical. So much so, that on my second day of a new job in England, when attending a mandatory First Aid Course, I fainted (out completely cold on the floor) simply because the instructor explained what we’d be leaning to deal with during the next 3 weeks. So embarrassing! The other attendees apparently thought it was a stunt the instructor had put me up to! My colleague knew it wasn’t and is reported to have retreated to the corner of the room, loudly claiming “I don’t even know her – we only met yesterday”, such was his embarrassment with the situation!! So, as you can imagine, a c-section was a major hurdle for me to accept I needed to get over. The day before, as the Consultant explained what it involved, I burst into hysterical tears, simply because I was so disgusted by the description of what was to happen to me. However, on the Friday morning, never in my life have I known the power of prayer in such a major way. I know there were so many friends and family, who understood what I’d be like in this situation, holding and sustaining me in prayer. God was amazing! His presence was so clear to me. Yes, I was anxious, but behind it there was a deep “peace that passes all understanding”. Even today I am so thankful to Him for the grace He gave me to face the surgery well. I am also very thankful for Gavin (who was a rock) and the medical staff, who realised the type of person I am, and dealt with me accordingly. The one thing I was not prepared for, despite all my fears, was the scar I now bear. In the whole process I had somehow forgotten that I would be left with one. So the day after the surgery, in my desperation to get home, one the things I had to manage alone (to prove I could be discharged) was getting showered, removing the bandaging and cleaning the wound. EEKKK!!! Again, God was more than faithful. The worst of the scar has passed. It looks less like I’ve been in a war and the swelling has decreased. But it’s still there and, to some extent, always will be. I am definitely not a bikini wearing girl, so I guess very few people will ever see it…but I have struggled with the idea that I will always carry this mark on me. And yet, this should be something I wear with pride. Why? Because it’s a reminder of the day and hour that our precious, healthy baby boy came into this world, took his first breath and began his life with us. Without the scar, we wouldn’t have him here. “See, I have engraved you on the palms of my hands; your walls are ever before me”. 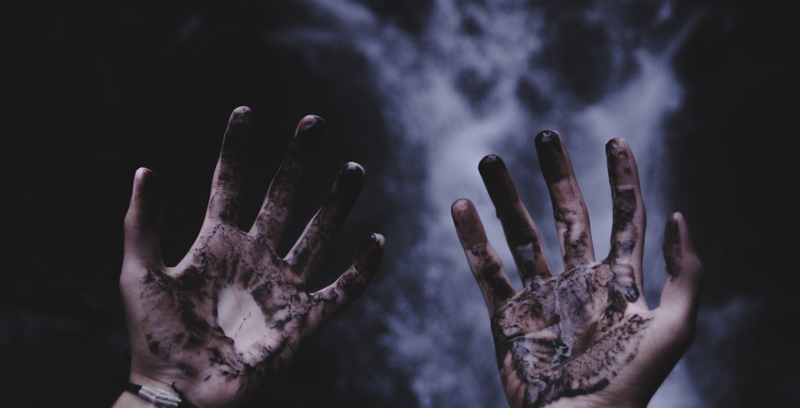 Although God is talking about the nation of Israel and the walls of Jerusalem, parallels are often drawn to the marks on the hands of Jesus – the scars He bears from the nails of the cross. The scars that his friend, Thomas, insisted on seeing and touching before he would believe that Jesus was alive. (John 20:24-30). The scars that proved the Messiah had risen from the dead, that life everlasting was won and death is forever defeated. 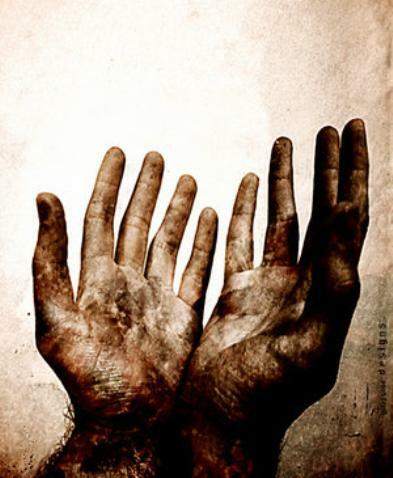 I like to imagine, when Jesus showed Thomas the scars on his hands, He was not ashamed of them. Instead they were proof of the new life that Thomas (and each of us) could receive. Without them and His death on the cross, real life – life to the full and the defeat of sin – would not be available. Jesus’ scars are marks of the war He fought with sin and death, a war that He won, and a victory that He offers to share with each of us. They are not marks to be hidden but to be celebrated and to be very thankful for. So, when I look at my own scar and think of the new life that it came from it, I am reminded of my Saviour’s scars and the new life I have because of Him and them. There is no comparison between the two. Jesus’ scars cost him more than I will ever truly know. But he bore them willing for me and for Reuben. We are engraved on the palms of his hands. We mean that much to him. I am humbled each time the reality of that touches my soul. I love God’s promise that accompanies His claim to have Jerusalem engraved on His hands – “Can a mother forget her nursing child? Can she feel no love for the child she has borne?” (I know the answer to that is a big fat NO! ). “But even if that were possible, I would not forget you! See I have engraved on the palms of my hands”. (Isaiah 49: 14-16). No matter how hard I would try, I cannot stop loving Reuben and I cannot forget him. God promises that to you and I – we are engraved on the palm of His hands, He will never stop loving us, He will never forget about us. And, He has the scars to prove it.